I have many memories of dandelions from when I was a child. Whether it was my mother cursing their prolific presence in the yard or my siblings and I picking the fluffy seedheads and delightfully blowing on them to release the little "paratroopers" (unwittingly contributing to my mother's agony), dandelions evoke a variety of emotions for me. 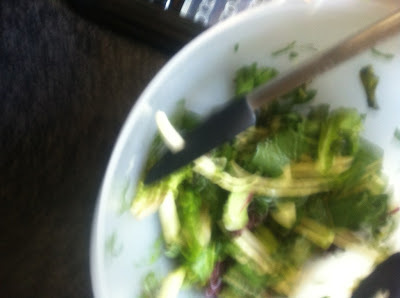 But it wasn't until last spring that I realized you could enjoy dandelions on your dinner plate. The entire plant is edible, from the taproot to the flowers. And who would've thought that such an invasive "weed" could carry with it so many amazing health benefits? 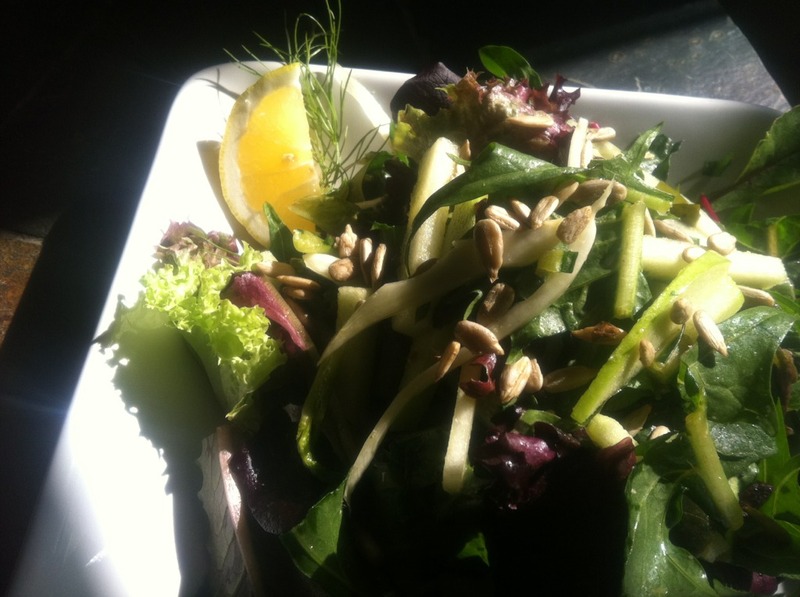 Dandelions are higher in beta carotene than carrots and boast calcium and iron content superior to spinach. High in vitamins, particularly A, C, and K, they are also a wonderful source of potassium and manganese. Additionally, dandelions have a wide range of medicinal uses including boosting kidney and liver function, reducing inflammation, soothing indigestion, and as a powerful but gentle diuretic. Now something so good for you couldn't possibly taste good, right? I guess that would depend who you ask. Lightly steamed or sauteed, the aroma and flavor are reminiscent of artichoke hearts. The leaves when eaten raw produce a depth of flavor ranging from vegetal, peppery, to bitter all in the same bite. The bitter taste is actually what dandelions are most commonly associated with, and you can avoid it by harvesting them in the early spring or with multiple boilings. But if you ask me, I love that bitter "bite" that leaves a lasting impression on the palate. Green, satisfying, cleansing, and centering. So here's a recipe for a salad I made this past weekend. 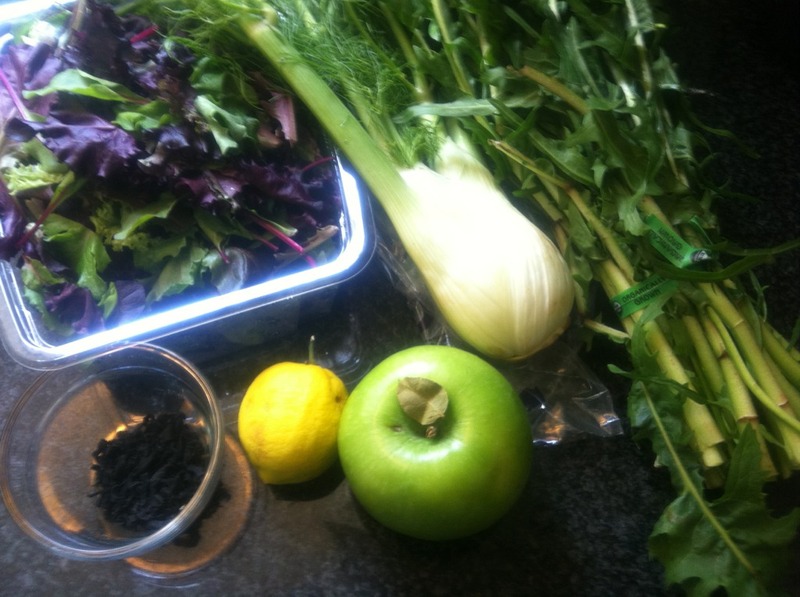 The combination of ingredients may seem atypical, but as has become my habit, I tend to shop by what's in season. 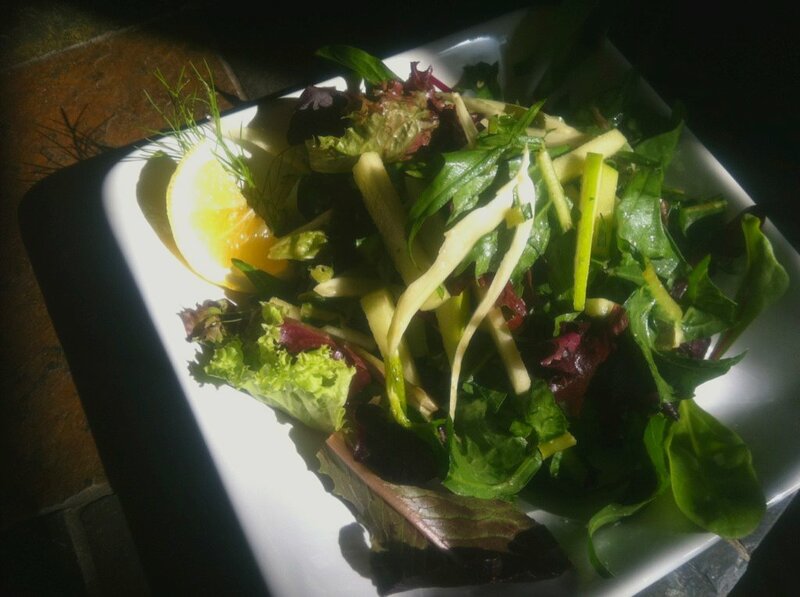 When I saw this beautiful bunch of dandelion greens and the bulb of fennel topped by flowing fronds, I felt inspired to make a salad to celebrate spring. We are what we eat, so why not choose ingredients that are uplifting, inspiring, healthful, beautiful, and vital? 1. 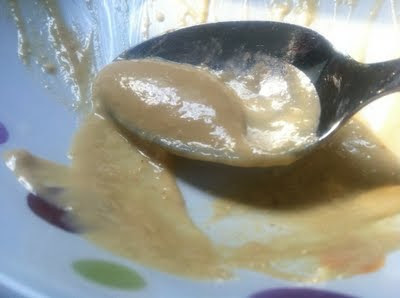 To make the dressing, first incorporate the miso paste, tahini, and ginger puree. 2. Begin to whisk in the apple cider vinegar, which will begin to thin the consistency. 3. Slowly whisk in the oil. After it has emulsified, add sesame oil and sriracha. 4. Add fresh citrus juice to taste. I used a meyer lemon, but an orange would work nicely as well. 5. The final dressing will be on the thicker side - feel free to adjust ratios to achieve your desired consistency and balance. Agave can also be added should it be too tart. 6. Set aside to allow flavors to come together. 7. Immerse dandelion greens in water and allow to sit. Give them a good rinse, pat them dry and then roughly chop or tear. 8. If you're using dried seaweed, cover 1-2 tbsp of the dried seaweed with cold water to rehydrate. 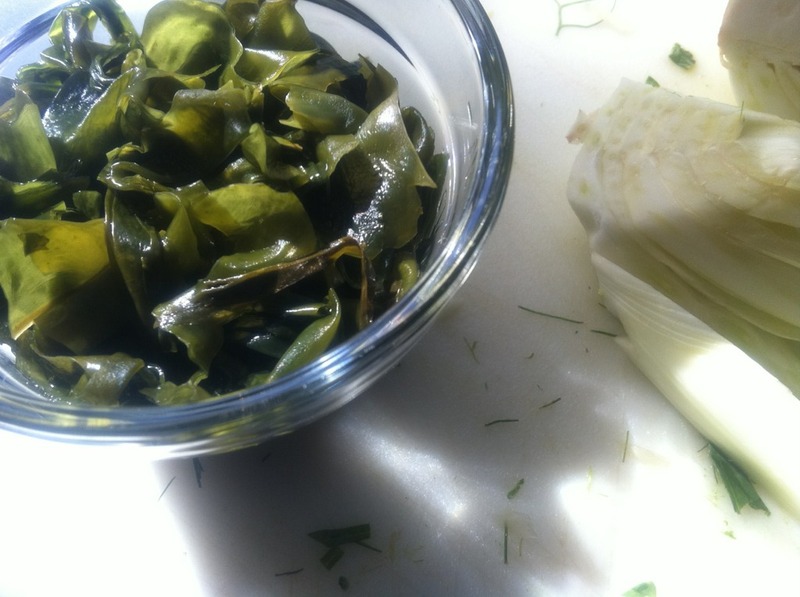 You will want the seaweed to retain a firmer texture, so you may only need to soak the seaweed for a few minutes. I used wakame in these pictures, but hijiki or any sea vegetable with a firmer texture will work. 9. For the fennel, separate the bulb from the fronds. Cut the bulb in half. Remove the core from one of the halves (it's like cutting out a triangular wedge), cut the half in half, and then slice lengthwise into long strips. 10. Slice the desired amount of red onion. If your onion's flavor is on the aggressive side, soak the sliced onion in cold water to temper it. 11. Cut apple in half, core, and then julienne. The apple will help counter the acidity of the dressing and the bitterness of the dandelion greens, so if you prefer more sweetness, add more apple. Squeeze fresh citrus onto apple to prevent oxidation. 12. Combine ingredients in a large chilled, non-reactive mixing bowl along with mesclun. Take finished dressing and toss lightly. 13. Before serving, garnish with sunflower seeds. Sometimes I wonder if anyone else out there will enjoy my style of cooking. I actually was torn about whether to post this recipe, because some of the ingredients make "odd couples." But what finally gave me the resolve to share it was looking at the pictures. I thought about how much fun I had preparing it, how beautiful ingredients gave way to a beautiful salad with strong, unique flavors, and how good it felt to eat it. I took a variety of ingredients that I love, put them in a bowl, and what did that get me? This recipe, like all recipes, is just a suggestion, guidelines if you will, to make a salad that you will enjoy. There was a time in my life where I would use eating to quell my emotions, keeping them at an arm's length. Now, it makes much more sense to me to eat in order to connect with my emotions, so both the food I am eating and the act of eating itself are meaningful. Again, not anonymous. Silly google accounts... figure it out already! I like the concept of your Salad and the pairings do not seem odd at all to me, but you and I have some similar styles in regards to cooking and prep. I'll see if they have some good Dandelion greens at the market this weekend and I'll make this salad for Nanay and Tatay. They will love it because it's full of goodness and love. Keep up the good work kuya.